Our Jacksonville Adoption Lawyers represent families in the adoption process in Jacksonville Florida as well as throughout North East Florida including Duval, Clay, Nassau, and St. Johns county. We work on Florida Open Adoptions, Florida Closed Adoptions, Florida Step-Parent adoptions, and Grandparent or Relative Adoptions to help create a successful adoption process and foster bonds between the children and adoptive parents. Adoption is the best gift any person can give to a child in need of a permanent family. The Law Firm offers a complete, comprehensive and individual adoption service to adoptive parents in a professional, caring and supportive manner. We provide assistance, legal advice and representation for identified, interstate, and family adoptions. We also have experience in locating and matching pregnant mothers who may be interested in placing their child into a loving family with adoptive parents. Matching qualified adoptive parents with birth mothers. Implementing successful adoption plans in which adoptive parents are already matched with a birth mother. Providing birth mothers with adoptive parent profiles, which include pictures and background information about the adoptive family. Providing adoptive parents with the birth mother's background and medical information. Obtaining the birth mother's prenatal records for review by a medical professional of the adoptive parents’ choice. Placement of the newborn child with adoptive parents upon discharge from the hospital. 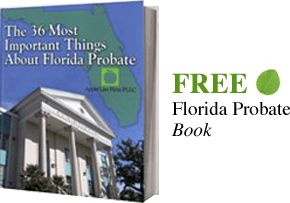 Complying with Interstate Compact requirements (if adoptive parents or birth mother reside outside the state of Florida). Providing all legal services necessary to terminate the parental rights of the birth parents and finalization of the adoption by a Florida Court. (Adoptive parents living outside of the state of Florida are not usually required to return to Florida for the adoption finalization hearing). Many Families are moving towards open adoptions in Florida. They can provide the birth mother, child, and adoptive family with open communication and the ability to exchange information on family medical issues as well as other information that may be useful as the child matures and develops. Other families prefer to have little or no contact with once the child has been adopted. With a Closed Adoption there is no further contact between the birth mother and the adoptive family. Have the right to give your surname to the child. Have the right to participate in all major decisions regarding the child, including what happens if you and/or your spouse become incapacitated during the child’s minority. Assume legal responsibility for the welfare of the child. Be listed as the child’s parent on his or her birth certificate. Receive an expedited completion for uncontested adoption. Florida adoption law has provisions by which a stepparent can adopt a child without the consent of the non-custodial, biological parent. The Law Firm provides assistance, legal advice, and can answer many of the questions surrounding stepparent adoptions in your initial consultation. As a grandparent or close relative ("family") of a child, you may be considering adoption as a means to assume legal responsibility for that child. The Law Firm has assisted grandparents and relatives complete family adoptions in a timely manner. Grandparents may choose to adopt in order to provide health insurance, receive subsidized housing that includes the child, and enroll their grandchildren in school. The adoption process for a grandparent is often less complicated than for non-relative or newborn adoptions and generally requires less paperwork, which allows for an expeditious adoption process. We provide assistance, legal advice, and representation for identified, interstate and family adoptions. All grandparent and family adoption clients receive a free initial consultation. If you have an adoption question or need, please call us at 904-685-1200 or contact us online to speak with a Jacksonville Adoption Attorney.